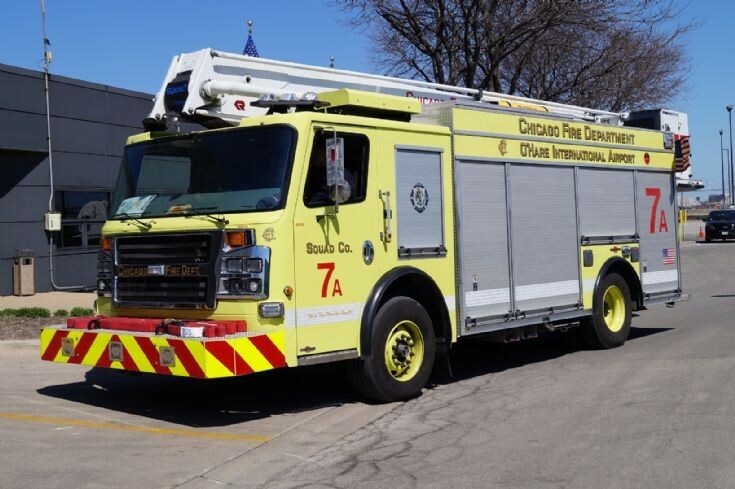 Chicago Fire Dept Squad 7A, based at O'Hare international Airport. Built on a 2016 Rosenbauer Commander chassis with a Rosenbauer ACP 55 snorkel with a working height of 55 feet. All the CFD units at O'Hare airport are this shade of yellow. The other new rescues are in the standard CFD traditional black over red livery. Added by Rob Johnson on 13 August 2018.